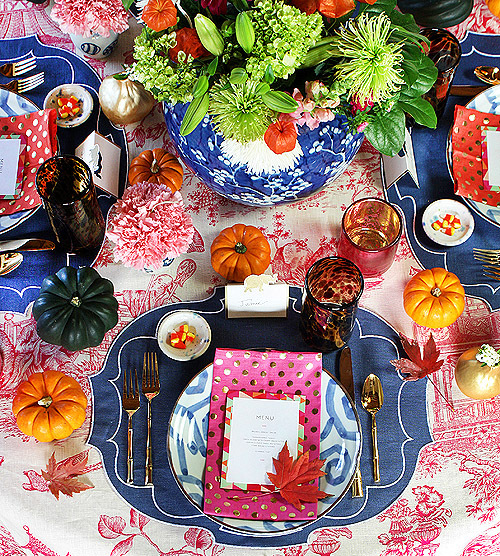 Mix and Chic: A beautiful and stylish, non-traditional Thanksgiving table setting! 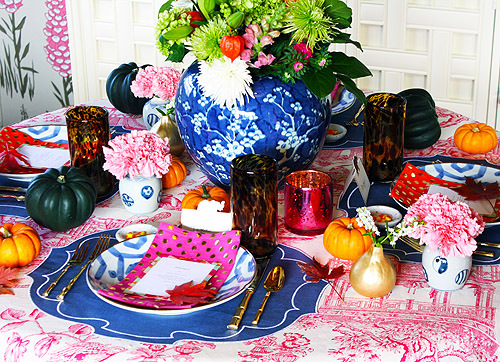 A beautiful and stylish, non-traditional Thanksgiving table setting! I recently stumbled upon this gorgeous Thanksgiving table setting on Design Sponge, created and styled by the talented designer Jamie Meares from the popular blog, I Suwannee. You can click on this link to read more. 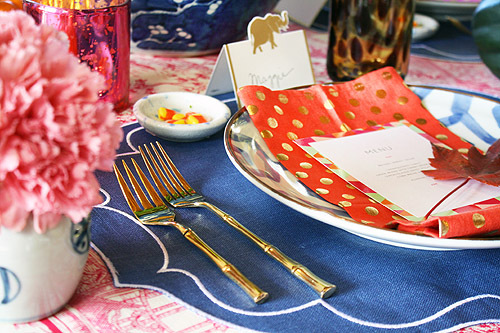 I love that this wonderful table setting is fun, chic and festive. Let's take a look. I am inspired by Jamie's use of interesting textures and unexpected, vibrant, non traditional color palette for this Thanksgiving table setting. 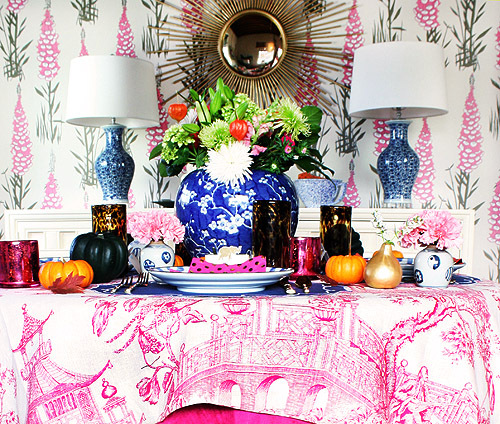 Are you a fan of this stylish Thanksgiving tablescape as well? I would love to know your thoughts! This is definitely a nice change from the usual thanksgiving set up. I love the colors! I would say that it is making the rounds fast. I love all the happiness here. pop by and go shopping with me in paris, oui? I LOVE how Jamie decorated the table...so fun and festive!